Photo credit: Adapted by WhoWhatWhy from Mike Sutherland / Flickr (CC BY 2.0) and Joanna Poe / Flickr (CC BY-SA 2.0). Democrats are poised to win the national popular vote in House races by about 8.4 percent while netting 40 House seats. In 2010, Republicans won a whopping 63 House seats — despite winning the popular vote by only 6.6 percent. How can Republicans win more seats while receiving fewer votes? One factor is gerrymandering. Of those 12 contested races, Democrats won the vote share 51 percent to 47.7 percent. Despite winning a majority of the votes, Democrats only secured three of the 12 seats. Republicans held the other nine seats — with a minority of the vote. There are plenty of Democrats in North Carolina, a state carried by President Barack Obama in 2008 and governed by Roy Cooper (D). In fact, registered Democrats outnumber registered Republicans in 57 of North Carolina’s 100 counties. In every county where Republicans outnumber Democrats, their representative is a Republican. However, of the 57 counties where Democrats outnumber Republicans, only 17 have Democratic representation. Gerrymandering in North Carolina produces more problems than artificially inflated numbers for Republicans. Many races are simply uncompetitive. Not a single one of North Carolina’s 13 districts flipped from one party to the other in the 2018 or the 2016 elections. Given the purple hue of the state, such a fact is odd. But when district lines are drawn to reduce competition, perhaps it shouldn’t be so surprising. A panel of three federal judges ruled in August that the districts in North Carolina must be redrawn, calling the current map “unconstitutional.” The ruling was the second time in the past two years that the map was thrown out by a court. Like North Carolina, Ohio also weathered the Democratic storm of 2018. Ohio, which Obama carried in both 2008 and 2012, is another swing state with plenty of Democrats. In the most recent election, Democrats and Republicans were about even in total votes for the House. And yet — Republicans won 12 of the 16 Congressional districts. Democrats, while securing about half the vote, managed to win only four seats. Furthermore, despite the relative parity between the two parties, the Ohio House holds a veto-proof supermajority of Republicans, and a Republican “trifecta” across the board. Luckily, Ohioans voted to overhaul how the state draws its districts. The new process is set to begin after the 2020 census. The uphill climb for Democrats was nationwide, which only further illustrates how impressive the midterms were for that party. According to one recent estimate, about 73 percent of Democratic gains occurred in districts that were drawn by independent commissions or courts. Only 19 percent of Democratic gains occurred in districts where state Republicans drew the maps. Is there hope for North Carolina and Ohio? Is there a solution? Yes — look at Pennsylvania. Pennsylvania Democrats faced the same uphill battle that Democrats in North Carolina and Ohio faced, until a court threw out their gerrymandered map and drew a non-partisan one. Prior to the new map, there were 13 Republicans and five Democrats holding House seats. After this most recent election, with the new map, Democrats won 55 percent of the vote and received nine seats, while Republicans won 45 percent of the vote and also received nine seats. 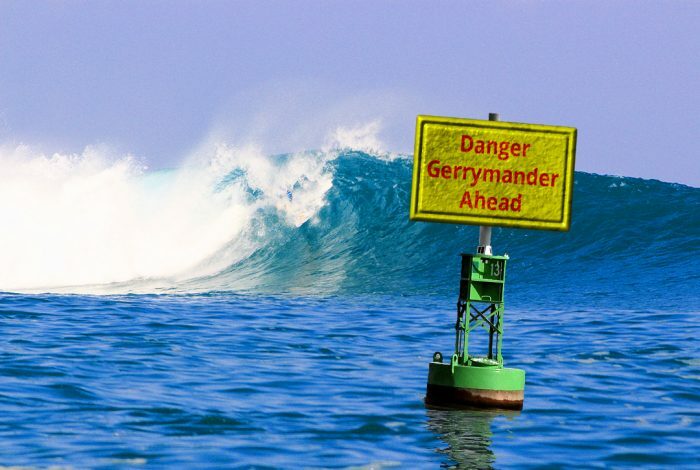 As for North Carolina, a lawsuit is currently being brought by the North Carolina Democratic Party and Common Cause to rid the state of gerrymandering. Democrats hold a 5–2 advantage on the state Supreme Court, and the lawsuit has a real chance of redrawing the map prior to the 2020 election.